For our more advanced students (with our more advanced coaches), one cool option is a 3D Engine called Play Canvas. By the time you say “3D,” you’ve hooked 90% of the kids, and if you add “game engine,” you’re done! 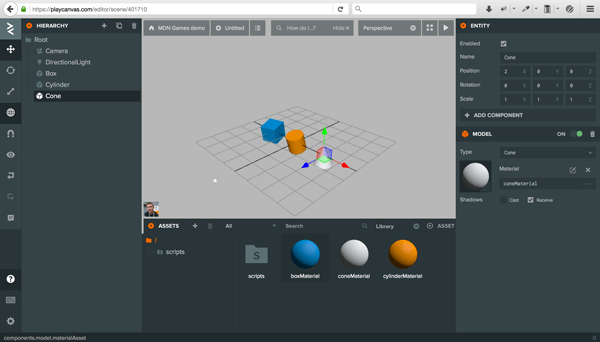 PlayCanvas supports rigid-body physics simulation, handling three-dimensional audio (yeah! ), 3D animations, and a boatload of other stuff if you have the time to look through it. It’s got a great set of tutorials you can check out too. PlayCanvas comes with a basic tutorial that kids can use to change up a little. One of our students created a cool little challenge by turning the ball into a watermelon and adding some deadly spikes as an obstacle. I’ve tried about 50 times and still can’t get the watermelon across the spikes! 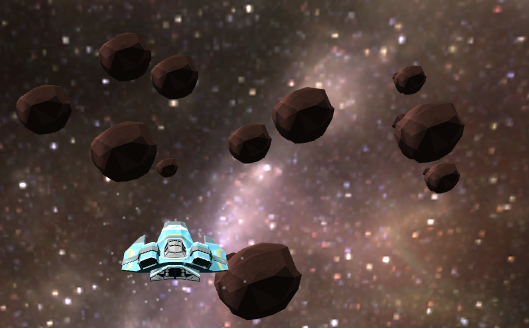 We’ve also defaulted to good old spaceship games, like this one a student of ours created of a 3D Asteroids game. 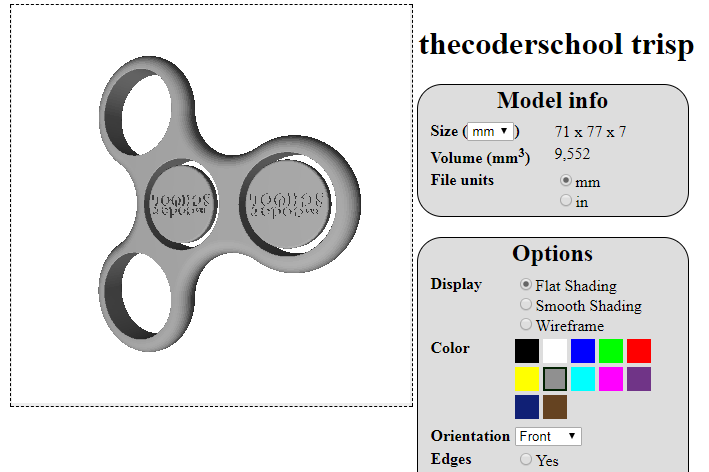 Another project idea that we’ve done is to allow your student to design and even 3D print out their own fidget spinner. A little past the trend, but hey, kids still love the stuff! For the actual 3D print, we used Blender, but in PlayCanvas you can recreate it with a student, and get it spinning just like in real life. The Instructor/Code Coach might need to get a basic spinner ready to go, along with a rotation script, allowing the kids to change rotation speeds or even chuck balls at it - but when you’re talking fidget spinners, you’ll get any kid engaged and having fun! Published at DZone with permission of Hansel Lynn , DZone MVB. See the original article here.